If you love children’s books, hurry to the Morgan Library and Museum in New York to partake in an unusual exhibit entitled The Little Prince: A New York Story. The exhibit is on view until May 27th. Bring a child. Copies are available in the exhibition and children receive a free excerpt they can color. Many of the world’s best-loved children’s books were born by accident. A. A. Milne told his son, Christopher Robin, stories in which Winnie the Pooh and his other stuffed animals played a leading role. (The toys are now the property of the NYPL and usually are on exhibit.) Hugh Lofting served in the British Army in France during World War I. In an attempt to maintain a bond with his young children, he wrote them letters detailing the adventures of a Doctor Dolittle who had the ability to understand and talk to animals. Rudyard Kipling apparently created The Jungle Book for his daughter Josephine, who died at age six. 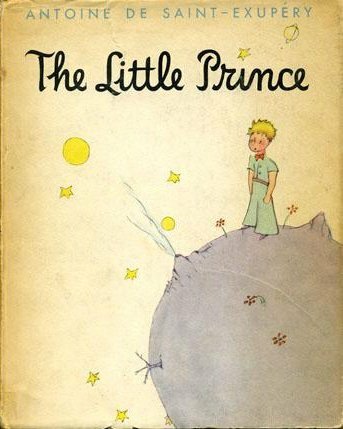 The Little Prince by Antoine de Saint-Exupéry is no exception. Born in France in 1900, Saint-Exupéry grew up to be a commercial aviator flying, among other assignments, a postal route in Africa. He befriended the Lindberghs, and other heroes of aviation’s childhood. Saint-Exupéry describes the romanticism of aviation in several popular books, one of which, Wind, Sand and Stars, earned a National Book Award. After the Nazis vanquished France in June 1940, a dejected Saint-Exupéry made his way to New York. He was so depressed that some American friends suggested that he write a children’s book to cheer himself up. He did, choosing as his hero a little man – un petit bon home – with yellow hair and a yellow scarf, whose image the writer had used as a mascot for many years. The book retells the story of the friendship between the little prince and an aviator marooned in the desert, both characters obviously being Saint-Exupéry’s alter egos. The little prince lives on a tiny planet with a single magic rose, predatory baobab trees, and tiny extinct volcanoes. In the fairy tale he visits other planets, including the earth. Saint-Exupéry is a poet and a wishful philosopher. An earthly fox that asks to be tamed particularly charms me: “My life is very monotonous,” the fox said. “I hunt chickens; men hunt me….I am a bit bored, but if you tame me, it will be as if the sun came to shine, on my life.” The prince does as he is told and learns about love and loss, because both the fox and the aviator will have to part from the prince. In New York, editors transformed the rough, handwritten French manuscripts and charming, unprofessional drawings into the book we know today. Publication of both a French and an English translation took place in April 1943 and Saint-Exupéry could admire his masterpiece. The book became an icon. Its 260 translations, more than any other work of fiction, have delighted children and adults ever since. Aside | This entry was posted in Uncategorized and tagged antoine de saint-exupery, aviators, books, charles lindbergh, children's books, children's literature, children's stories, le petit prince, morgan library and museum, museums, new york, new york city, nyc exhibits, nyc museums, picture books, the little prince, the morgan, world war ii. Bookmark the permalink. As a child, in the late 50’s and early 60’s my family lived in Orleans in an old stone house built on the banks of the Loire. My parents chose two of their eight children, me and my sister Kathy, to attend a French primary school. The others attended a private American school. Many of us studied – Le Petit Prince – then. Me in French and my siblings in English. Thanks for reminding me of that “petit bijou” of a memory.